Nokia smartphones will be changing their names once the acquisition of the device business is closed. Microsoft will soon be concluding the mobile technology news of the deal to acquire the Devices and Services division at Nokia (not including the HERE mapping services), and in doing so, it will be changing the name of the company and the devices that it produces. The venture’s new name is going to become Microsoft Mobile Oy, bringing an end to the Nokia label on handsets. This mobile technology news was revealed in the form of a letter being sent from Microsoft to the suppliers for Nokia. This letter is meant to inform those suppliers of the change that will be occurring and how their invoices would be affected by it. At the moment, the suppliers have been reassured that they won’t “suffer” as Microsoft takes over this segment of Nokia. 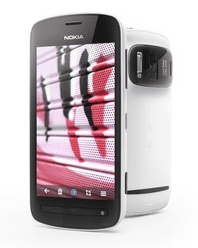 The reason is that Microsoft has said that it intends to keep up with all of Nokia’s past commitments. The mobile technology news from the letter assured the suppliers that Microsoft will be honoring Nokia’s promises. To explain the name, it should be understood that the word “oyj” is an abbreviation in Finnish for a “public stock company”. That said, the term “Oy”, is the term that is used for a corporation. It is important to note that this mobile technology news is not a declaration of the end of Nokia as a company. That entity will still continue. The difference is that Nokia will be progressing forward in a direction that is different from where it started in its handset business. Microsoft has purchased the smartphone division of the company, including the teams that develop new products.